Thanks to the many loyal subscribers who emailed this past week wondering when the Friday blogs would resume. Sorry for the three-week hiatus, but don’t think I was just hanging out with family and friends enjoying the gifts of cheese, candies and ice cream that many of you sent. I was also collecting information and organizing my thoughts for the upcoming series of blogs on dairy product trends. Here’s what I’ve observed within the category, with most noteworthy innovations originating in the States, Europe and Australasia. I also looked outside the freezer…way outside the freezer…and in the cookie and candy aisles…as well as bakery and beverage. I talked with ingredient suppliers to hear what they have in the works, and finally, I conversed with chefs and culinologists who like to walk on the wild side…who use ice cream as a canvas to create showstopper desserts. For starters, my mantra has long been that dairy is a natural, pure and inherently nutritional base ingredient…don’t mess it up. So it was not surprising that the folks at New Nutrition Business (a number of their analysts are Daily Dose of Dairy subscribers) recently stated that dairy is entering a new “naturally functional” era. You can read their press release HERE. One of the messages is to only add ingredients to this clean, pure and inherently nutritious base (milk) that make sense. I would like to add that those ingredients should be consistent with the attributes of clean, pure and inherently nutritious. This is the future for ice cream in 2014. 1) Flavors should be natural, when possible, and locally sourced…even branded and called out on package labels. 2) Chocolates should be premium, fanciful and even fairly traded. Call this out on product labels, too. 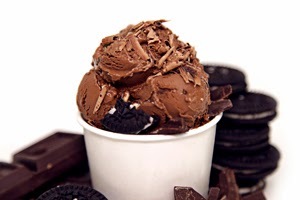 Combining chocolate ingredients is increasingly popular. 3) Add lots of nuts and fruits, whenever possible, and if you can, let consumers know where they were grown, e.g., California almonds, Georgia peaches, Michigan blueberries and Oregon marionberries. 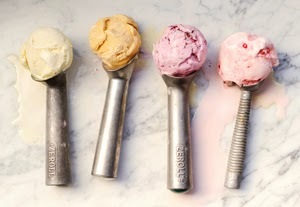 4) Decide what your ice cream’s purpose is, and stick to that objective. Do not try to be something for everyone. A high-protein frozen yogurt bar is a meal replacement or a snack, and should come in simple flavors such as banana or strawberry, as well as, of course, chocolate and vanilla. It is not an indulgent dessert. Salty caramel pecan is an indulgent dessert. Don’t add nutrients to it. 5) If fun and entertaining is what you have in mind…then load ‘er up with the goodies. Don’t skimp…but maybe offer it in a portion-controlled format so when mom and dad offer it as a reward or special treat, the “everything in moderation” message is maintained. With this trend, keep in mind that color source is being highly scrutinized by moms and dads. Choose wisely. 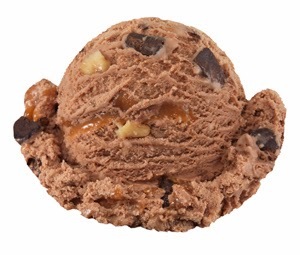 Here are 10 flavor trends that will dominate this year’s new ice cream products. 2) Pistachio. This funny looking little green nut has grown in popularity because of its inclusion in Greek yogurt. 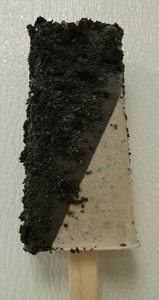 It’s great alone…ground up and dispersed though an ice cream base…maybe with a little chocolate. It’s also great chopped as part of a topping on gelato. But keep it simple. Pistachio is one flavor that does not fare well with bold flavors. 3) Butter. The creamy, distinct flavor of butter is being embraced by all food formulators, including ice cream developers. In the frozen sector, butter flavor is being delivered via various inclusions. Examples include, cookie bits, streusel, pie crust, toffee and even popcorn. Let’s not forget that a good caramel should possess the flavor of butter. 4) Cheese. In forms such as cream, goat and ricotta, soft cheeses are being used as variegates. Much like butter, their natural creamy richness complements a frozen dairy base. 5) Fibrous Fruits: Banana, Figs and Mango. Though berries and certain citrus/tropical flavors continue to be popular, these three “fruits with substance” are being embraced by ice cream formulators. In puree form, they add texture and body and can even assist with lowering fat contents. They also provide extra nutrition, naturally. Bananas complement caramel and nuts. Bananas love butter. (Think Bananas Foster.) Mango continues to grow in popularity as it rides the Hispanic foods boom, while fig is catching on thanks to the Greek yogurt craze. 6) Red Grapes—Reduced and/or Fermented. From balsamic to marsala to zinfandel, a little bit adds a lot of flavor to all types of ice cream…especially dark chocolate. 8) Spices: Cardamom, Cinnamon and Ginger. These spices are getting layered into all types of interesting ice cream flavors. Just a touch can turn your rum raisin into an exotic adventure. 9) Oreo. Do not underestimate the power of this iconic cream-filled sandwich cookie. Branded, or a generic version, this is one inclusion that never grows old. Even fine-dining chefs recognize the power it possess in ice cream. 10) Doughnuts. Sounds strange, but it’s really no different than birthday cake, cheese cake and brownies. Doughnuts are making a comeback after their Krispy Kreme hey days crashed and burned. Boutique doughnut shops are popping up around the country, and doughnuts have been described as the new cupcake. Needless to say, doughnut pieces and flavors will be the next wave in twofer frozen desserts, where you get one dessert (the doughnut) mixed into another (the ice cream). I would like to conclude with an 11th trend, and that is “Plain and Simple.” Just as the Oreo has staying power, tried and true flavors remain family favorites. 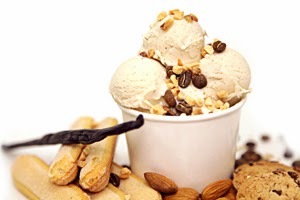 During the past decade, ice cream has become a “foodie’s” food, and manufacturers have responded by creating decadent treats designed for adult palates. Little ones have been somewhat ignored. But rightfully so, as youngsters tend to be finicky consumers and at the end of the day, really just want chocolate or vanilla…maybe with some sprinkles or M&Ms. But again, choose those colorful ingredients carefully, as the inclusion of artificial colors can be a deal breaker with many parents. Baskin-Robbins is gearing up for the awards-show season by introducing its new January Flavor of the Month: Movie Theater Popcorn. 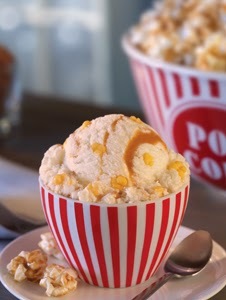 This show-stopping flavor features popcorn-flavored ice cream and butter popcorn crisp pieces, wrapped together with a salty caramel ribbon. In scoop shops, one can order this flavor as a special Movie Theater Popcorn Waffle Bowl Sundae with caramel praline topping, whipped cream, a cherry and chopped almonds. In addition, to help kick off the New Year, Baskin-Robbins is introducing Caramel Banana 31° Below and Caramel Banana Soft Serve Parfait. 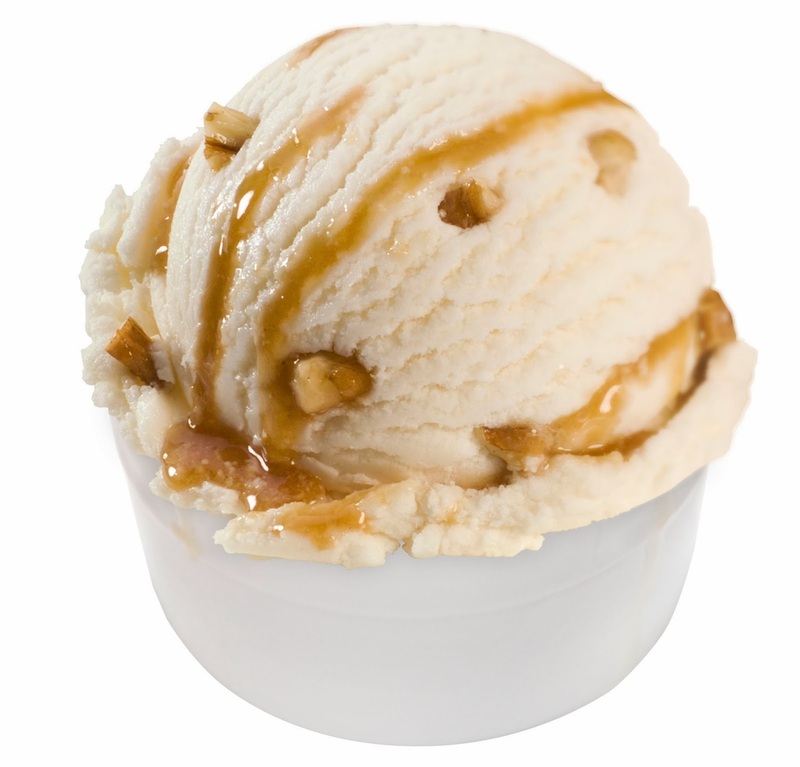 These tasty treats feature smooth and creamy vanilla soft serve with bananas and caramel praline topping. Desserts that Matter, a boutique ice cream manufacturing company that services metro-New York’s restaurant and hotel industries, is rolling out some incredible superpremium frozen creations. All the artisanal flavors are 100% natural and sourced from the finest ingredients, including fruits from local New York and New Jersey farmers. Desserts that Matter products come in 5-quart containers, 5-liter pans and 2.5-gallon tubs. There are three product lines--ice cream, sorbet and gelato--each one featuring classic flavors such as pure vanilla, deep chocolate, strawberries & cream, and pistachio. For the more adventurous restaurateur and chef, there are signature flavor innovations, such as Mexican Chocolate con Leche, Ricotta Fig, Chocolate Zinfandel, Pineapple Cilantro and more. The Good Humor man has long known the power of bringing the frozen treat to the customer. Today, in many parts of the country, food trucks are changing the foodservice landscape. Here’s a modern-day version of selling frozen novelties on the street. South Florida’s HipPOPs offers handcrafted gelato bars that are made to order in its food trucks. HipPOPs makes more than 100 gelato, sorbet and frozen yogurt flavors, 15 to 20 of which are featured daily on the truck. Customers choose their base flavor that comes on a stick. Then they select one of three kinds of premium signature Belgian chocolate dips. The third and final step is to “top the POP” with finely crushed pistachios, almonds, hazelnuts or pecans; shredded coconut; crushed pretzels; and, by popular demand, Oreos. For more information, visit HERE. Here are some frozen treats you may have missed this past month as a Daily Dose of Dairy. 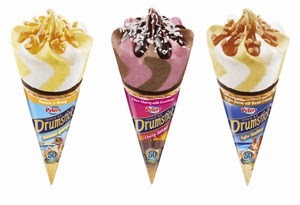 To celebrate the 50th anniversary of Peters Ice Cream’s iconic Australian ice cream cone brand, Drumstick, the company is introducing three new flavors. The new premium Drumstick flavors are Banana Lounge (banana and honey), Cherry Sunset (chocolate cherry with coconut) and Toffee Tanlines (toffee with biscuit crumbs). For more information, visit HERE. High Road Craft Ice Cream offers more than 90 chef-inspired flavors, including unique ice cream innovations such as Bourbon Burnt Sugar, Fig & Balsamic, Gen Mai Cha (Green Tea & Roasted Rice), Hibiscus Ginger and Pistachio Honey Ricotta, as well as elevated classics like their hugely popular Vanilla Fleur de Sel and Chocolat Noir. The four new flavors that debuted for fall 2013 are: Honey Black Pepper, Praline Chocolate Tart, Pumpkin Bread Pudding and Smoked Sugar. For more information, visit HERE. 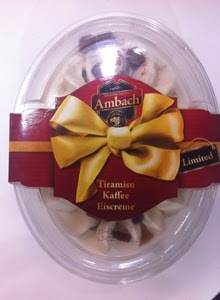 Limited-edition Ambach-branded Tiramisu Kaffee Eiscreme shows the consumer exactly what’s inside. And that is (starting from the bottom up): a layer of tiramisu-flavored ice cream, lady finger biscuits, tiramisu-flavored sauce, coffee-flavored ice cream and cocoa-covered cake pieces. This spectacular creation is finished with a drizzle of marsala wine. For more information, visit HERE.